The Vivian Maier phenomenon has started in 2009. Since then, I have been curious about her work and story, but I had not found the time to look for that. I only knew that she was a nanny (and street photographer), whose photography work was absolutely unknown until some “random guy” found her boxes full of films in an auction house. 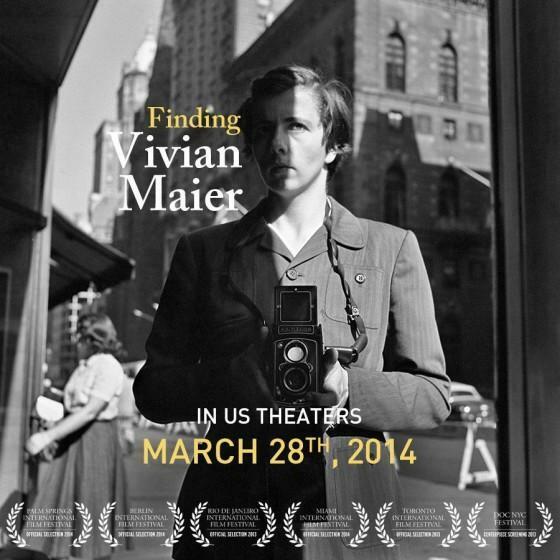 Anyway, this weekend, I accidentally saw that the documentary “Finding Vivan Maier“, written and directed by John Maloof (the “random guy”) and Charlie Siskel, was on my cable TV, so I decided to watch it. Well, I really enjoyed the documentary. First, I do enjoy most of the sample photos depicted in the film. She frames people’s emotions and spontaneity in her photographs beautifully, and I love this kind of photography a lot. She also shows the “old” ordinary life, most of the times in Chicago I suppose, beautifully as well. I did not enjoy some photos labelled as photojournalistic as much. Well, that might be just a matter of taste, though. Two things that caught my attention, because they make her framing different from today’s, are the format and the shooting angle. Two factors that arise because of her Rolleiflex camera. Today, the most popular format seems to be 4×6 (well, for DSLR users, not for Instagrammers), and her Rolleiflex shot square photos. The second factor is the angle. Again, because of her Rolleiflex, she usually shot from her belly button towards the subject (especially people’s eyes). She got really nice photos from that angle. Second, her story is full of mysteries and anonymity. The mystery makes you want more, makes you wish to know her better, to understand her choices, her viewpoint. Nevertheless, I must say that, despite the fact that her odd life helps spotlight her work, her photography is really nice, and that is the main reason why you should see her work. About her nanny work, well, I would not hire her to take care of my children! Ever! She was a way too unusual nanny. (…) She would take us and we would just walk in the worst parts of town. Now, that scares a father, doesn’t it! I do recommend everyone who likes photography (not necessarily a photographer) to watch the documentary. I plan to go through her work in the future, just to learn from it and enjoy it, and maybe I will get back into that in Sangaua again.